ACTAir Cargo (opf Turkish Cargo) for the FAIB B747-400F GE model. FSX/P3D textures come in both 2048X2048 DDS & UHD 4096X4096 DDS formats. FS9 textures come in 1024X1024 BMP format. Turkish Airlines Cargo Boeing 777-200F for the FSPainter Boeing 777-200LRF base model. 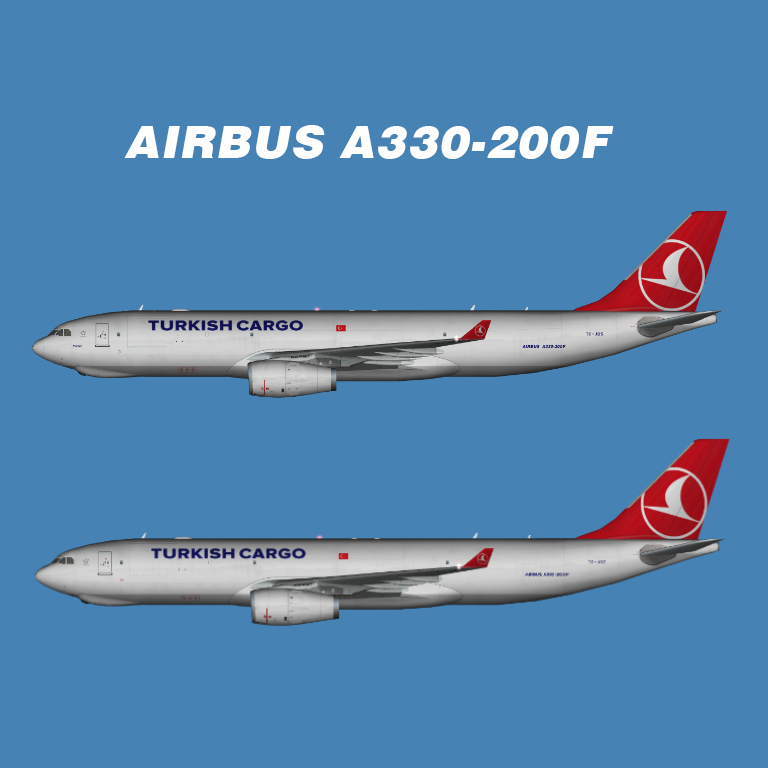 Turkish Airlines Cargo Airbus A330-200F FSX for the FSPainter A330-200F RR base model. 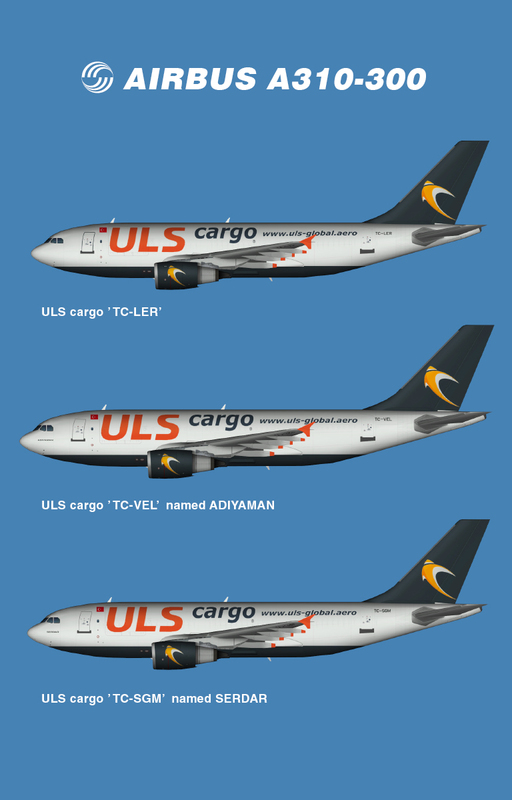 ULS Airlines Cargo FSX for the TFS A310-200/300 base model.